INSTANT QUOTES ON YOUR BACHELORETTE PARTY LIMO SERVICE? Why wait for the party to start at the club. When the bride can experience it as soon as she steps on a party bus? Make your memories count while you live it up. Whether you’d like to dance the night away. 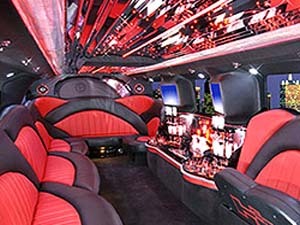 Or have a classy drive to and from your destination in our chauffeured Bachelorette Party Limos. We’ve got you covered in a DC limousine rental and limo service MD. We, Bachelorette Party Limos are your reliable designated driver. No matter what vehicle you choose from our Bachelorette Service luxurious fleet, the bride will be the center of attention on this remarkable night. Made with her in mind, for an evening full of fun and laughter, it really will be a night to remember! Create fantastic memories of bonding with lifetime friends. We are the classiest party bus rental in DC and the one stop shop for your Bachelorette party needs! If you are the Maid of Honor….what are you waiting for? Never get bored with all of the available accommodations, including a dance pole and bar. Who doesn’t like nice things? Ride with us and feel like a queen! You will feel safe and secure while being chauffeured by an expert driver. You will be comfortable in your outfit no matter what the temperature is outside. Sing and laugh the night away with your friends. Set the mood with the lights, from relaxation to full party.